Plant-based company Kale United AB (Kale United) today announces the strengthening of its global advisory board with the addition of two new advisors representing the fast-growing Indian, Middle Eastern and South Korean markets, where interest and demand for plant-based products is increasing exponentially. 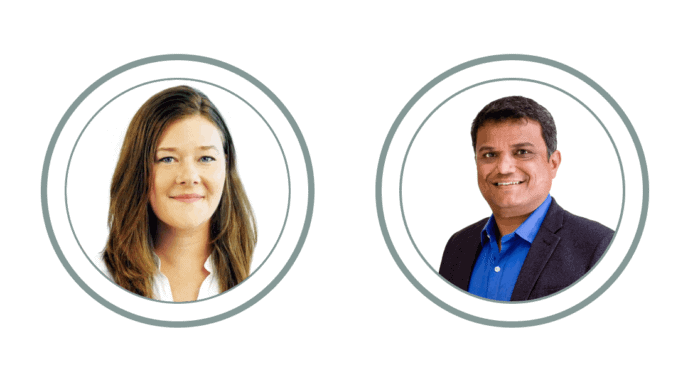 Kale United welcomes Marie Frenette and Chetan G Punjani to the advisory board as Asia advisor and Middle East and India advisor respectively. Based in Seoul, South Korea, Marie is the founder of the HAE Sustainable Lifestyle Company, a consultant for plant-based food companies, and the Happy Cow ambassador for Seoul. Based in Dubai, UAE, Chetan is General Manager GCC at Oceandusk Group and brings 15 years’ investment experience in stocks and fixed assets, as well as his passion for supporting the growth of a plant-based lifestyle. Kale United Middle East & India Advisor Chetan G Punjani said, “I am delighted to join Kale United in increasing the awareness and uptake of a plant-based lifestyle. By championing new brands that are entering the market in the Middle East and India, we can help them to build their contact network, and connect them with a community that is at the heart of increasing demand for living a vegan way of life.